Phil Growick's follow-up to his 2012 pastiche The Secret Journal of Dr. Watson, again sanctioned by the Conan-Doyle estate. 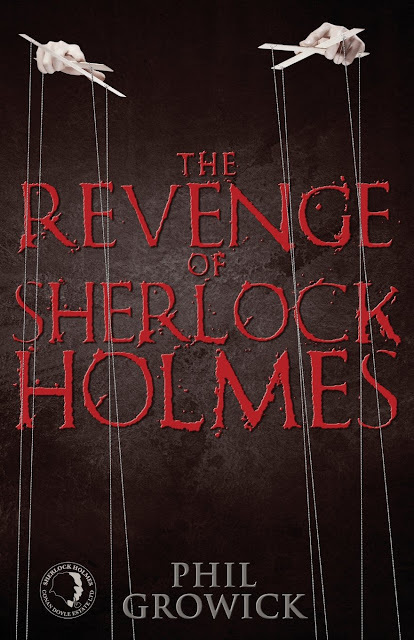 In The Revenge of Sherlock Holmes, all the questions left at the surprise ending in The Secret Journal of Dr. Watson, will finally be answered. What happened to the Romanov Imperial Family? To Reilly, "Ace of Spies"? To Dr. Watson? But most of all, to Holmes, himself. Historical figures as disparate as King George V, Al Capone, Stalin, Babe Ruth, and Winston Churchill, all play unexpected roles in this most insidious historical mystery. From the infant Soviet Union, to England, New York, the Caribbean and Finland, the world becomes a giant, deadly chessboard. Who will live? Who will die? And why? What terrible mind is behind the deaths and deception? Could it possibly be Sherlock Holmes? And what new questions will arise with the startling climax of The Revenge of Sherlock Holmes?